Project Network is a smartphone application designed to help people rebuild their social network during periods of mental instability. A period of mental instability directly affects the relationships you have with family and friends yet social interaction is a very important factor in recovery. Project Network aims to motivate people to increase the frequency of contact with family and friends by setting goals and to be involved with the lives of others. Project Network also includes a ‘first help with social contact’ toolkit that educates people about the basic principles of friendship. In a first pilot Project Network has proven to significantly increase the perceived quality of people’s social network. I was involved with ideation based on the research and designing the prototype for the Project Network app, and guiding its production. The app was tested by researchers at Parnassia group. 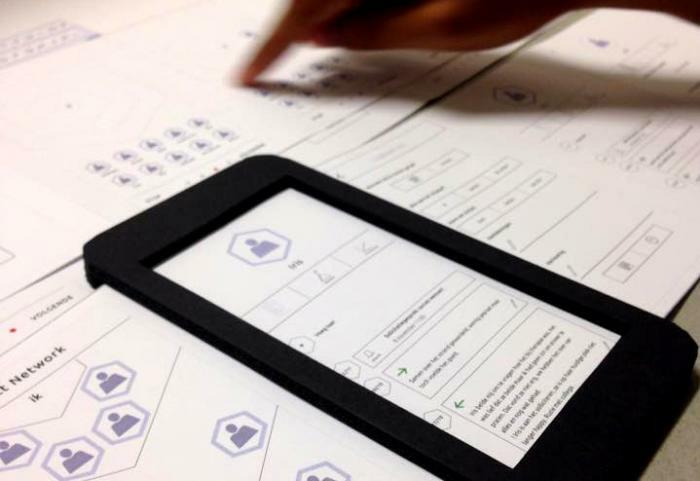 Design of the final app (see above) by Reframing Studio. This project was created with reframing studio for the parnassia group.